When it comes to weddings and wedding-related events, there can be added pressure to have outfits that are perfectly styled. They’ll be documented in photos, added to a wedding hashtag and looked back on for years ahead. And while there are plenty of options to wear on your wedding, picking out something to wear for the events leading up to your big day can be a little more challenging. So we’re diving into the best bridal shower outfits for the bride, built around four easy pieces. Sticking to a feminine dress is always a foolproof option, and a romantic style with ruffles and lace is perfect for the occasion. But if you want to try something a little outside the norm, we encourage you to give it a try. A flowy jumpsuit can look just as elegant when worn with strappy sandals and a pastel clutch. And jeans paired with a structured top and pearl-encrusted mules are just right for a more relaxed event. Want to see the outfit pairings we recommend? 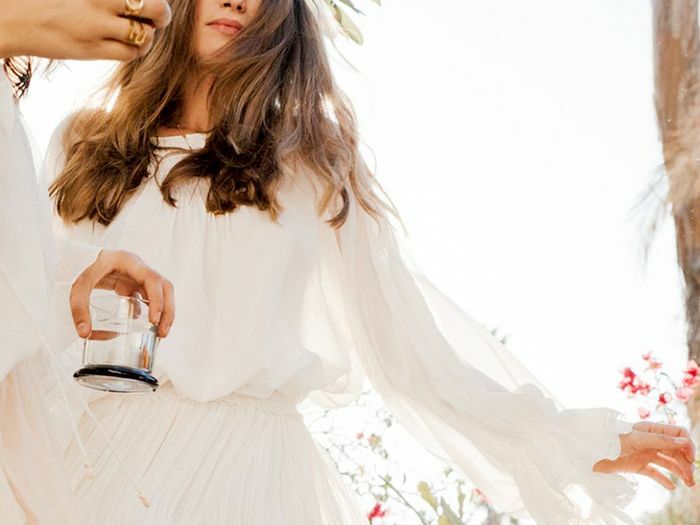 Keep reading to see four bridal shower outfits for the bride, no matter what your style is. 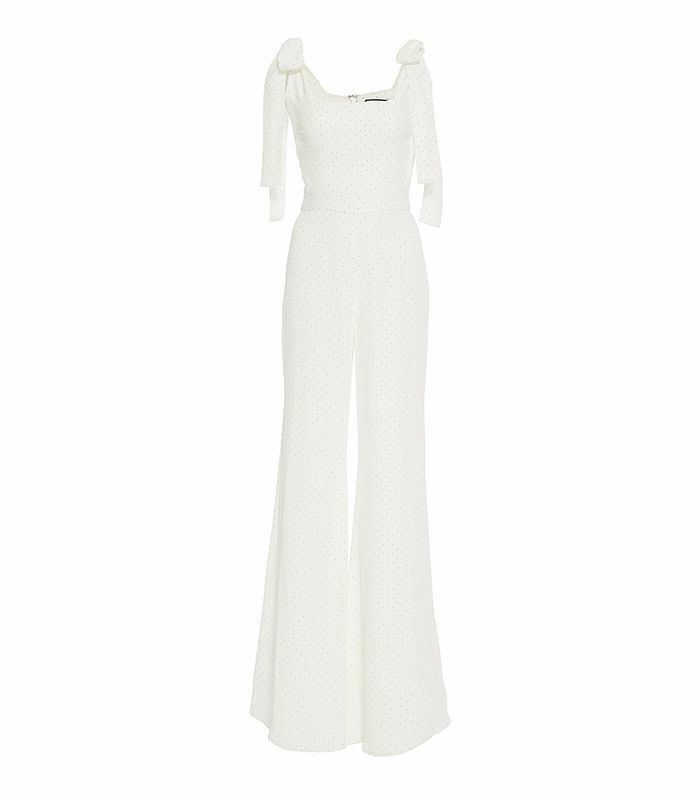 Elongate your legs with this stunning flared jumpsuit. A strappy heel can transform the look of your outfit. Make a statement with these drop earrings. The perfect summer clutch for a bridal shower. For a more beachy bride, this boho Chloé dress is perfect. A fun block heel is the best way to add a pop of colour to your look. Nail a summer trend with this suede bucket bag. Stack some simple rings to change your jewelry routine. This white blouse will look flawless on any bride-to-be. Some clean-cut jeans are great for a more casual bridal shower. Trust us, you'll get endless compliments on these. A chic yet simple bag can completely modernise an outfit. A pencil skirt is the best way to flatter your figure. These shoes are both comfortable and chic. Fashion girls are obsessed with chokers right now. Next up! We are convinced these bridal trends will take over Pinterest in 2017.